Take the guesswork out of your regularly scheduled auto service appointment; Honda owners rely on experienced AAA approved, Honda certified mechanics at Hendrick Honda Woodbridge for fast and convenient auto service. Our Woodbridge, VA location is open 6 days a week. Our skilled team of auto service mechanics take care of all your automotive needs. Visit our conveniently located auto service shop on the Jefferson Davis Highway in Woodbridge, VA. We have an on-site parts department and auto repair shop. We also offer Virginia state safety inspections for $16. Hendrick Honda Woodbridge is committed to keeping your car running like new for years. 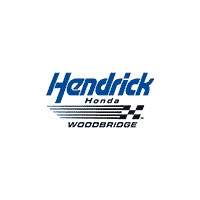 If you need fast, high-quality auto service in Woodbridge, VA – choose the Hendrick Honda Woodbridge auto shop. Our service department is open 6 days a week. Stop by, call us at 877-604-6196 or schedule your appointment online today! When you purchase your vehicle, you receive a Manufacturer’s Limited Warranty. These warranties vary depending on the make and model of your vehicle. The most common Manufacturer’s Limited Warranty coverage is 36 months and 36,000 miles. Once you exceed these guidelines, you become responsible for many major repairs on your vehicle. Would you like to be protected against the cost of unexpected repairs? Hendrick Autoguard’s Oil Change Program helps you drive with confidence by providing you with engine oil and filter changes, tire rotations, and a multipoint inspection for your vehicle. Are you interested in receiving substantial savings on your oil changes and tire rotations? To keep your vehicle in top mechanical condition, we recommend the Hendrick Autoguard Flexible Maintenance Program. Your vehicle has thousands of complex working parts which must perform together to give you safe, reliable, and economical transportation. Are you interested in receiving substantial savings on your required maintenance?